Tonight the Art with Heart Team are sharing creative projects with an Easter theme. Don't forget, Sale-A-Bration ends on 31 March! 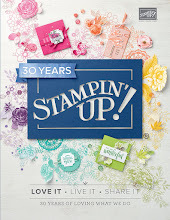 There is still time to earn free product with purchase or even join our Stampin' Up! Team. Ask any of the girls on the hop for more details. 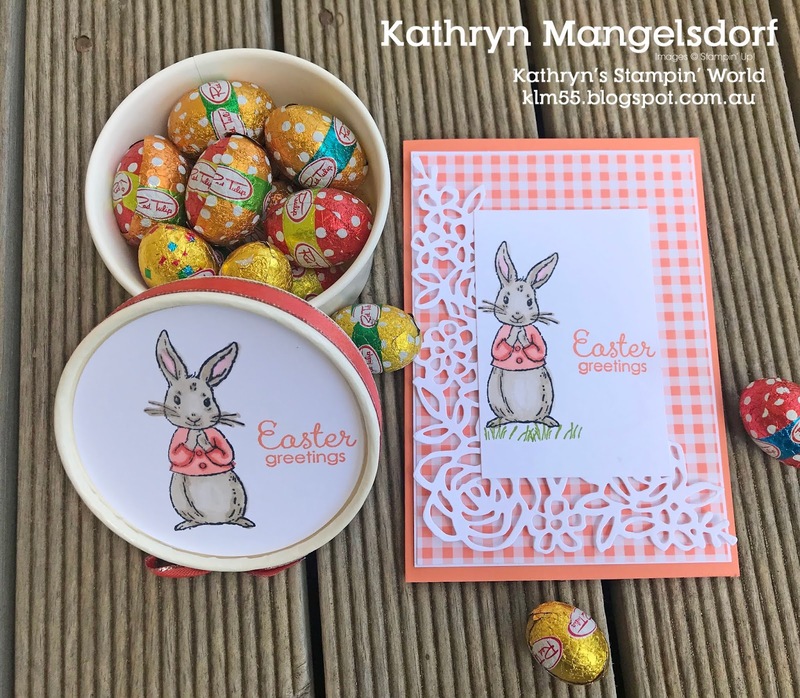 At my March Card Class we made this Easter card and matching Treat Box which is a CASE from the Occasions Catalogue. The ladies did get to choose the colour of the designer series paper and the image on the card and some made Easter or Baby cards. Just a little trick I did not have any Grapefruit Grove Ribbon, so I pull out a length of the White 3/8" Silver Metallic-Edge Ribbon and coloured it in with my Blends. Now it's time to hop on over to our next participant, the very talented, Rachel Palmieri. 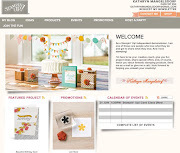 Kathryn this is such a beautiful set, with the treat box and your lovely card. 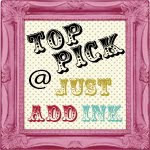 The Spring Time Impression Thinlits look great with this stamp set. Lovely colouring Kathryn and I love that die, so pretty. 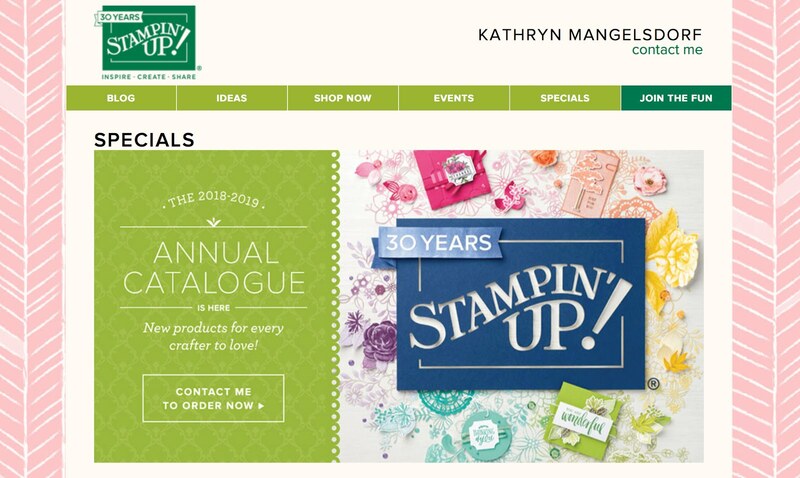 Aww so cute, Kathryn, love this stamp set & I love the floral diecut with the Gingham dsp! 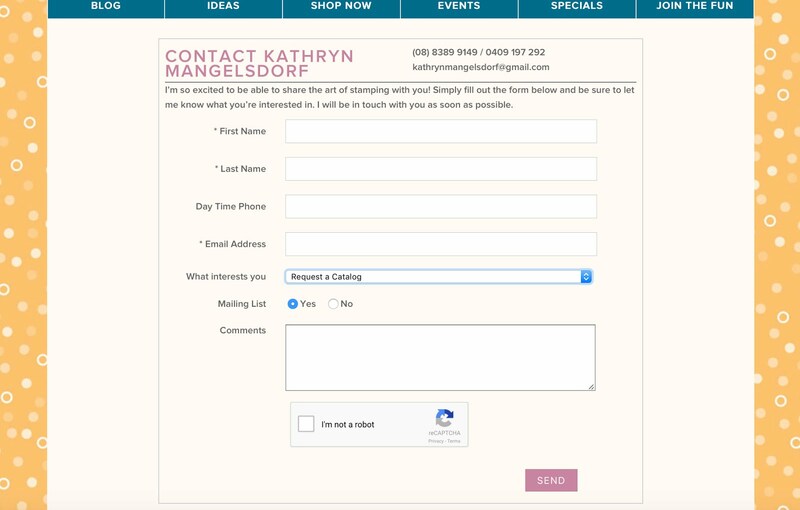 Such a sweet gift set, Kathryn. The bunny looks adorable with the Calypso Coral gingham. 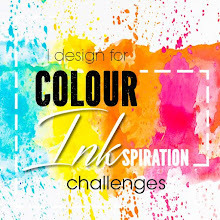 Love your colouring of the bunny, great idea with colouring in with the ribbon too. 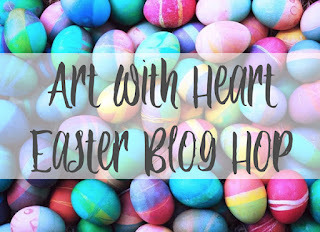 Thanks for taking part in the Art with Heart Easter blog hop. I love how you made a coordinating treat cup/card combo! What a gorgeous lid. That bunny is just too cute. Aww, how cute! 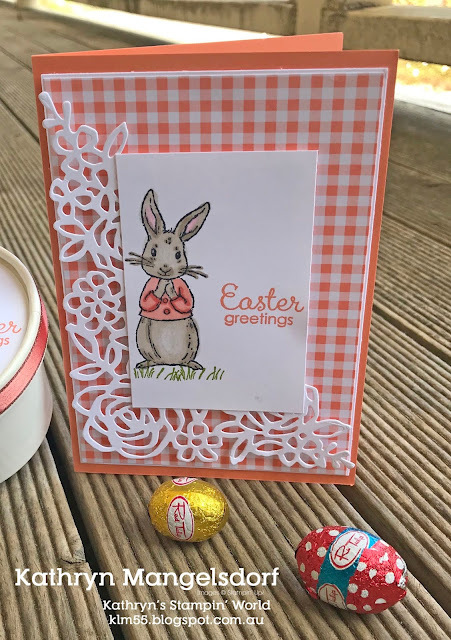 I love your bunny card, and I can see how it would work as either an Easter or a baby card. The treat container is very sweet too. 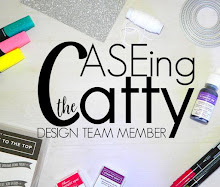 Gorgeous projects Kathryn. Your ribbon looks so pretty in that colour.